Pick your window Iain … you’re leaving! Labour wishes the quiet man would go quietly. The Tories wish the quiet man would go quietly. But the quiet man of politics, Iain Duncan Smith, secretary of state for work and pensions, insists on going out like a noisy Captain Mainwaring. The government watchdog, the Major Projects Authority, has already declared his universal credit programme to be such an abject failure after three years that its implementation must now be deemed an entirely new project. 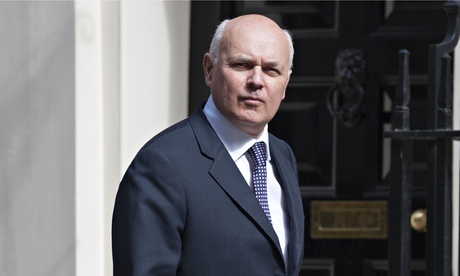 The only person seemingly unaware of just how disastrous his flagship welfare benefits reforms have been is IDS himself. ← I still remember when firefighters were heroes. Now we just ignore them.